RJTR was responsible for architectural, interior design, structural, and MEP design services for two "jewel box" spaces, a fitness center and a café building, to serve the existing office spaces at Highwoods Properties' CentreGreen office complex in Cary, North Carolina. 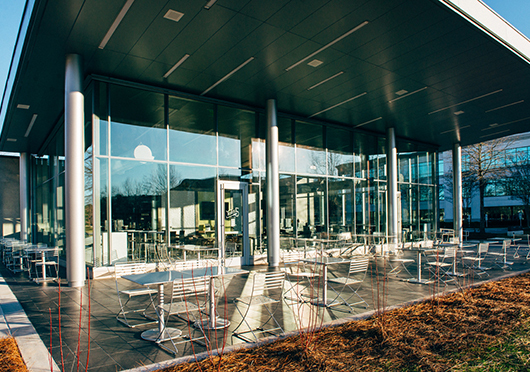 The 3000 SF fitness center and 4000 SF café bookend an open lawn area and the café's glass enclosure opens onto a covered eating area. 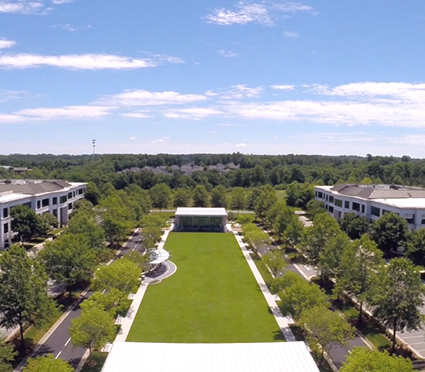 These buildings provide desirable amenities for employees during the workday, allow for outdoor social gatherings and afterhours events, and serve as a focal point for the office park.